Godrej declared some information and perfection about the apartments available inside periphery of it. Developer introduced brilliant construction inside new launched of Godrej Properties in Mulund, Thane. If you are home buyer and planning buy a residential home at affordable pricing then you will have to come here for investment. Godrej group has justified his reputation by indulging the proper features of modern world. The property offers best homes with highlighted features like specification, brilliant electrical cabling, marble fitting on the floors of living room, floor plan and much more. The nice name of property is Godrej Alive Mulund which will be coming at wonderful place of Mumbai, in Mulund, Thane. The infrastructure shape presented premium apartments size of 2, 3 & 4 BHK. There will be 8 towers in the Godrej Alive Mulundproject in which a existing configuration will take residents living standard on top level with including shape of 2 basement, ground, 2 podium, triple height lobby and 26 habitable floor. Four tower have been launched out of total holding 8 towers in which names are A, B, C, E. tower A, B and C will cover apartments of size 2 & 3 BHK with 6 to a core, while tower E will offer 3 & 4 BHK apartments with 4 to a core. Godrej Alive New Project offers ultra luxury apartments with dictatorial sundeck, exclusive bedrooms and skillfully planned homes that will match your aspect which you deserve. It has world class amenities including digital workout, Tai Chai, Bungee dancing and other brilliantly planned features that will activate your mind, soul and body. 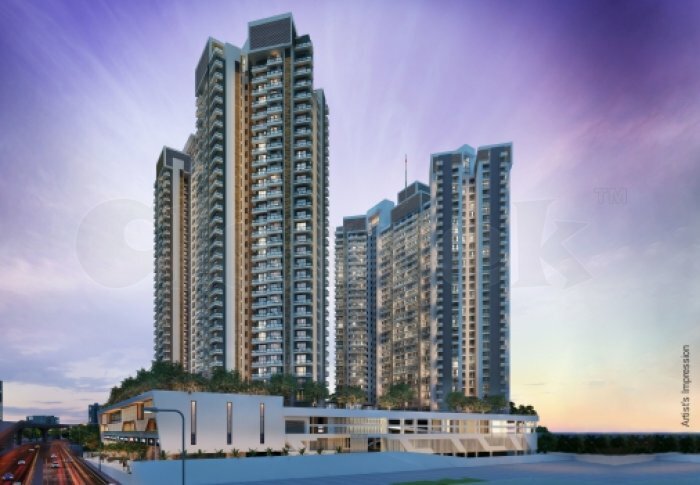 The property has well connectivity and accessibility from every important location situated in Mumbai and country. It is located on gateway of Thane, LBS Marg from which you can get every desirable good from the closer shopping malls and market places. Godrej properties picked up wonderful place for settlement with short distance from dominant mall like Viviana & Korum, as well as retails, corporate and social are around radius. Thane with corporate spaces like TCS, G Corp, MBC IT Park and ACC Limited are not very far, approx being situated 18 mins away from property destination. Thane Belapur Road being situated only 20 mins, while Bandra Kurla Complex is located just 34 mins away from the Godrej Alive Mulund apartments.